“Video is the easiest way to break into the top of the organic search results”. I heard this a lot on the conference circuit last year. Now I like a lot of things when it comes to search marketing, but my favorite thing of all is finding easy wins. So hearing that video was an underserved area in the SERP, coupled with the fact that over 80% of Google’s video results come from YouTube, seemed like an opportunity not to be missed. But is video SEO really as straight forward as it seems? Over the past several months I’ve been running test cases on YouTube to better understand what elements help to influence rank within video results. To follow are some key factors that need to be taken into account when optimizing your video for organic search, including why it pays to pay for promoted videos. Just like anything on the web, everything begins with good quality content that people find interesting. One way to start is by identifying a popular search query or topic and build your script and video content with this in mind. Just like well optimized page content, it’s a lot easier to optimize a video from the start rather than trying to retrofit it to a keyword after the fact. Remember to write the script and present the video in a way that will keep viewers interested and get them to stick around to watch and hear all you have to say. There are plenty of good video SEO cheats, tips and tricks that you can follow to help optimize your YouTube video, covering important elements like file names, titles, descriptions, closed caption scripts, and thumbnails. However, even after applying these techniques, it can take quite a while to build up traction in the universal video results, particularly for highly competitive keyword queries. Optimizing your video for these elements provides a good foundation, but often it only gets you so far when ranking organically. So what else should you be looking at? 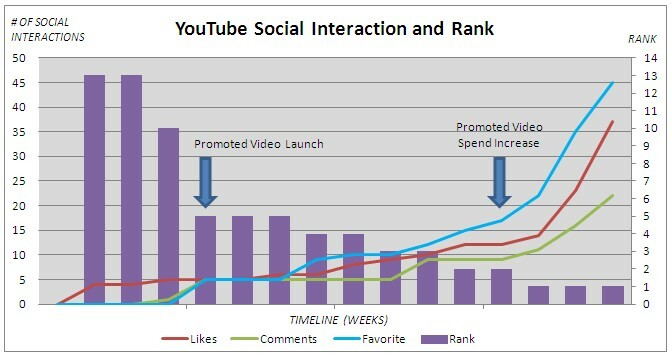 Social signals continue to be the topic of the moment, and play a vital role in the video SEO mix. View numbers are nice but if all people are doing is viewing your video and not interacting with it in some shape or form, you are losing out. The first hurdle is getting the right people to your video; not so much for the view count but more for the likes, comments, favorites, embeds and shares that come from increased viewership (this of course assumes that the video content you developed is interesting to begin with). So assuming your video is worthy of being liked and shared, how can you quickly get lots of social interaction going for your video? 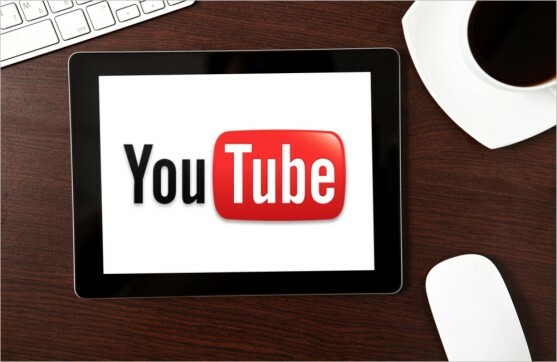 As a test case, a video was uploaded to YouTube that applied video SEO elements for a popular keyword query, with a history of strong conversion. Over the space of four weeks, the YouTube video held a steady page two position, within the organic video results. A targeted YouTube promoted video campaign was launched and within a matter of days the video increased from a rank of 10 to a rank of five. As the promoted video campaign drove more views from interested viewers, there was an increase in the video getting liked, commented on and favorited. Each time a jump occurred in likes/comments/favorites, there was a corresponding increase in rank. As promoted video spend was dialed up even further, views shot up which led to a spike in social interaction, pushing the video into the number one video rank. Several months later, the video continues to maintain a number one position at the top of the video results on Google and YouTube. Of course, SEO performance should never just be about rank. It’s also about delivering company KPIs, whilst maintaining efficiency. In the test case, YouTube promoted videos proved to be highly efficient, in comparison to traditional PPC search engine performance. Within the first few months, the promoted video ads were pulling in click-through rates of over 10%, at a quarter of the cost-per-click (CPC) of the equivalent Google search engine campaign. So what’s your best bet when it comes to video SEO? If you want your YouTube video to show up in the video results, apply SEO to key video elements. If you want to boost your video rank to the top, you need to drive views to your video by paying for promoted video ads. Ultimately, the increase in views amongst interested viewers will lead to an increase in viewer interaction, further strengthening the social signals associated with your video.